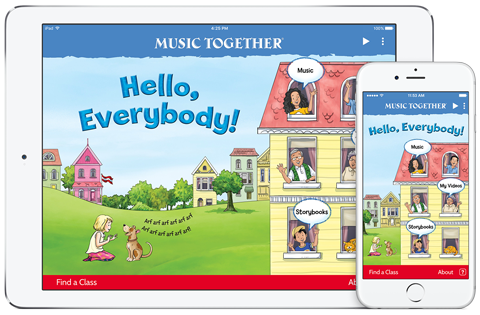 Log in to the Family Music Zone for videos, coloring pages, craft ideas, and trivia related to this semester's Music Together® song collection! Starting in Fall 2018 with the Fiddle Collection, your access code will be inside the front cover of your songbook. Before the Fall 2018 Fiddle Collection, your access code will be found inside the cover of your CD. For illustrated step-by-step instructions for using the Hello Everybody App, download this document.